My 1st CR here in HLF. Back to my fav temensis spot to take revenge for my lure a mama took home as toy Reached spot and cast out my yamoto walk the dog and tick tok tic tok.....Barm! Fish on! but..... line snapped due to abrasion on rocks on the 1st run...there goes my lure....again! Retie my leader and spotted a huge school of babies with mama and papa! Immediately throw my zerek gecko over and the mama was so fierce, before my lure could reach the babies, mama already whack! it was a very very good fight and this mama is strong! Kept peeling line from my conquest. Fight took about 3mins..Took afew pics and released it back to her babies. Enjoy the pics... 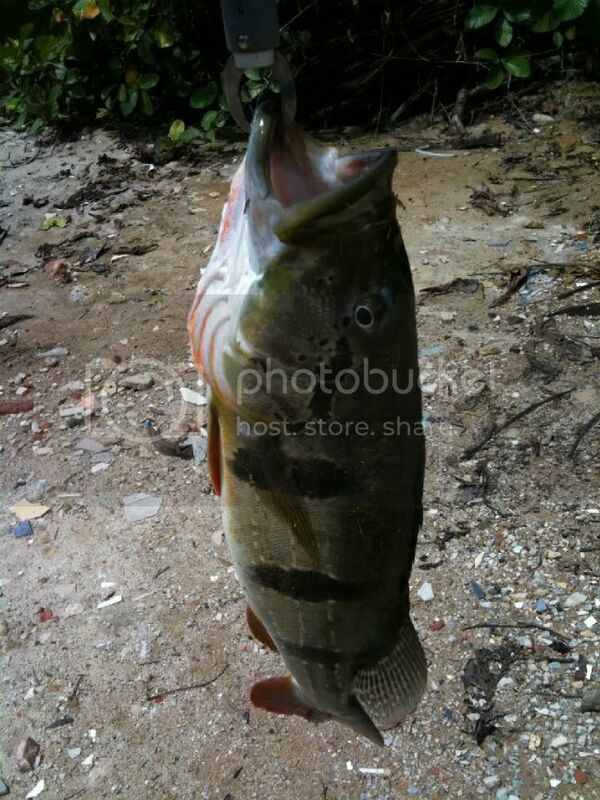 Fish weighs about close to 4kg. 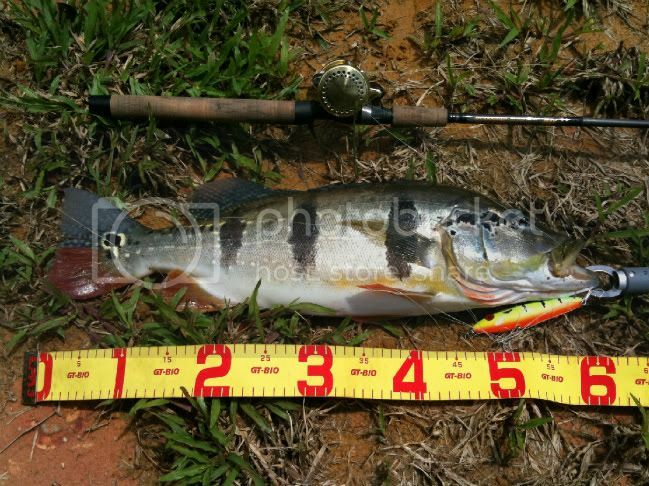 That's a big mama indeed, you've set the record high for your first catch report here. I've not seen temensis guarding its young before, but I reckon it's more aggressive than a toman. Excellent catch. Peace wrote: That's a big mama indeed, you've set the record high for your first catch report here. I've not seen temensis guarding its young before, but I reckon it's more aggressive than a toman. Excellent catch. Thanks Peace. Yea its my personal best. It sure is more aggressive den tomans as i got it hooked on the 1st cast. 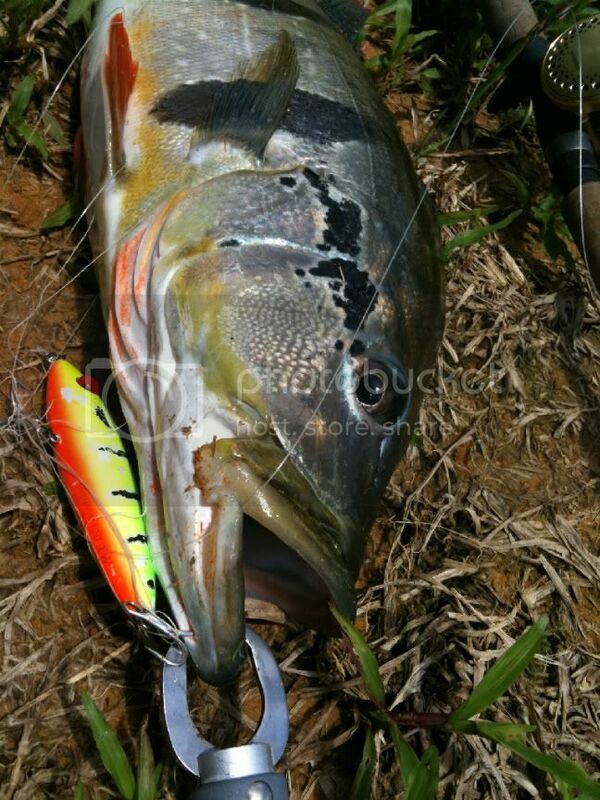 It missed my lure the 1st time and aggressivly take it on the 2nd time almost instantaneously!